Beefeater Pink is the vibrant new strawberry gin from Beefeater London. The soft fruit flavours of strawberry tune perfectly with classic notes of juniper and citrus to produce a finely balanced contemporary London gin with a hit of sweet strawberry. 70 cl. Try a twist on the classic G&T "The Pink B&T"! 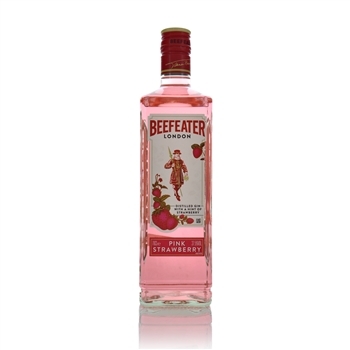 - Ingredients: 50ml Beefeater Pink, 150ml Tonic or Lemonade, Ice & Fresh Strawberries. - Method: Build in ice filled wine glass, add Beefeater Pink & tonic water or lemonade, add strawberry slices & gently stir to combine.